As the school year winds down in Massachusetts, students will be at increased risk of Boston car accidents. This is the first entry of a four-blog series covering the impact of distracted driving, drunk driving, and speeding among teen drivers. The National Highway Traffic Safety Administration (NHTSA) reports that car accidents are the leading cause of death among teens between the ages of 15 and 20. With prom, spring break, graduation, and the summer drawing near, our Boston personal injury lawyers remind parents that teen drivers are at increased risk of car accidents and injuries caused by distracted driving, drunk driving, speeding, seat belt violations, and cell phone use while driving. These activities pose a threat to young drivers as well as other motorists on the road. The NHTSA also reports that, mile for mile, teens are involved in three times more Boston car accidents than all other drivers. 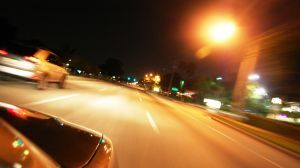 Massachusetts car accidents involving young drivers killed 68 motorists in 2008, according to government statistics. – Set a passenger limit. – Remind teens to always buckle up. – No cell phone while driving. – Obey all speed limit restrictions. – Spell our repercussions for broken rules. Here you can find a Massachusetts parent-teen safe driving contract, courtesy of Distraction.gov. If you’ve been involved in a teen car accident contact Boston injury lawyers at The Law Offices of Jeffrey S. Glassman for a free and confidential consultation to discuss your rights. Call 877-617-5333 or contact us through the website.